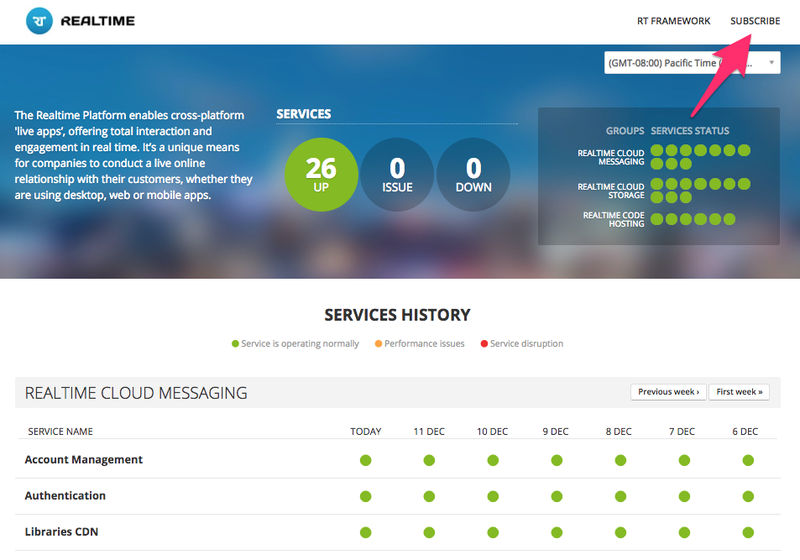 Where can I find details about the Realtime services status? In Realtime we take high-availability and transparency very seriously, so we'll always let you know when some Realtime service is being disrupted or under some scheduled maintenance operation. Don't forget to subscribe to receive all alerts in your email or mobile phone SMS.